GOODMAN PACKING & SHIPPING MAKES IT HAPPEN! Goodman Packing & Shipping is a full service Shipping, Delivery, Moving and Warehousing company specializing in Fine Furniture Handling, Transportation and Installation. The company is family owned and operated with an experienced staff of logistics, packing, and shipping professionals. In addition to our 3 Retail Box Brothers locations, we provide user-tailored service options including Vendor & Workroom Pick Ups, Warehouse Receiving & Inspections, Order Accumulation & Inventory Control, Moving, Storage and Appointment Delivery and Installation Services. We are happy to provide services for 1-1000+ pieces or a box to an estate with integrity, a can do/will do attitude and hands-on service. Most of our clientele are repeat customers and we welcome new clients, including Manufacturers, Showrooms, Architects, Interior Designers and End Users requesting a full spectrum of any and or all of our combined capabilities. Every customer’s specific expectations dictate their job and we ensure the rest is taken care of. 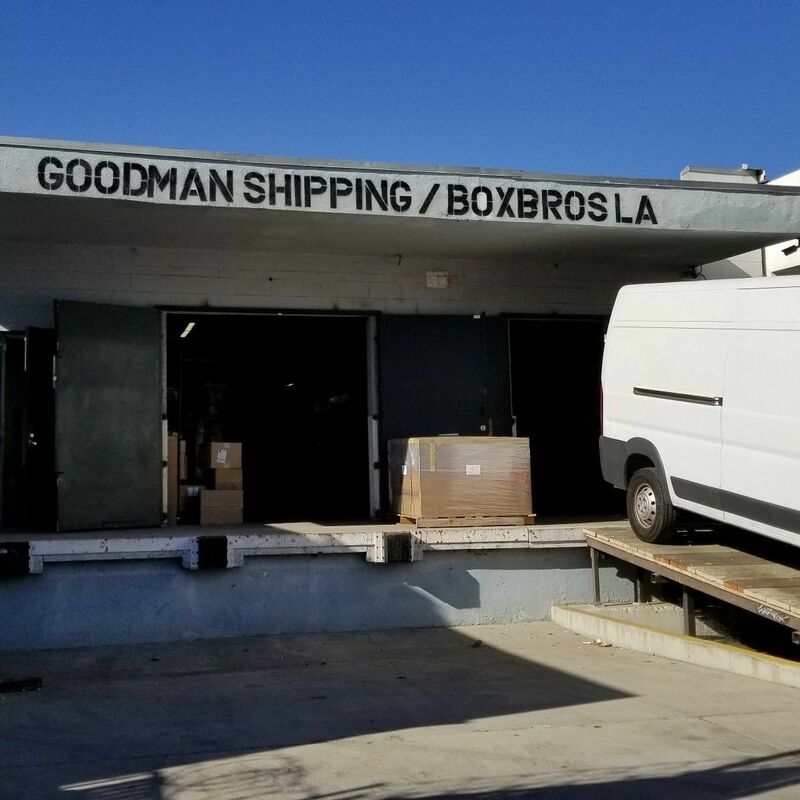 At Goodman Packing & Shipping, we're in the business of providing the right combination of Manpower, Equipment and Material to accommodate client needs. Call us at Tel: (323) 642-9000 and we will be glad to provide a quote or tackle your next transport/logistics job. Open 8am-5pm Monday Thru Friday!